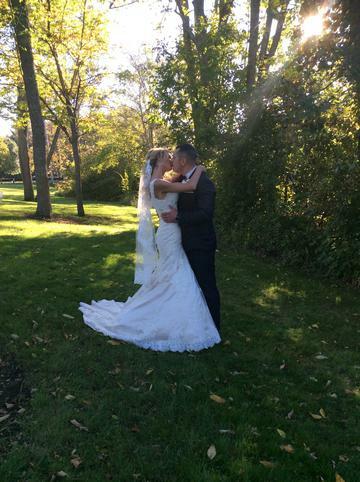 Lindsay & Christopher were married on a beautiful evening in October. 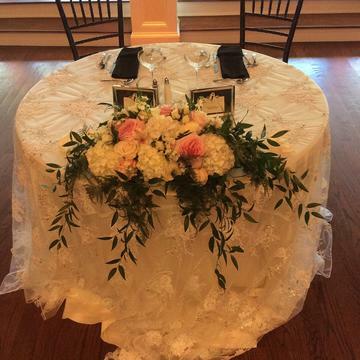 The two were tied the knot at a local church, then celebrated their union with us in a romantic wedding reception in our ballroom. The ballroom was elegantly decorated with classic hues ivory and black, with hints of beautiful blush florals and greenery scattered throughout! 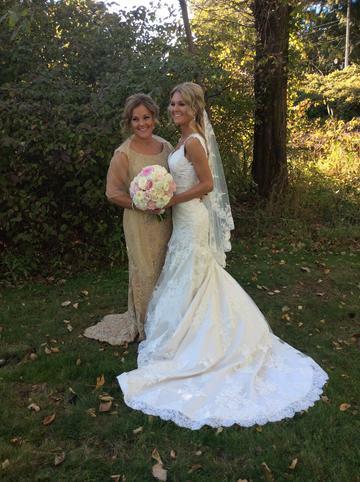 "I cannot say enough about Stacy and Jill for everything they did to make my daughter's wedding day a dream come true. From the very first meeting at their Open House to a few days before the wedding when we dropped off all the essentials they went above and BEYOND!! They were very calming and reassuring and knew exactly what to say and do. Always prompt responses to calls, texts or emails. 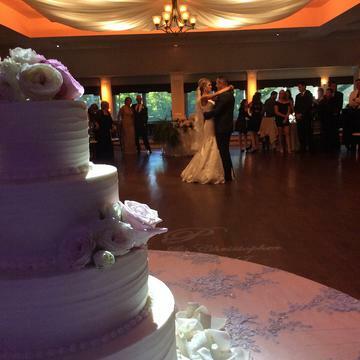 The Canoe Club Ballroom is the place to have your wedding reception. I give it a MILLION stars!! !Thank you again for everything!! It was wonderful!!! Love you ladies!!!" ~Thank you so much Cathy! 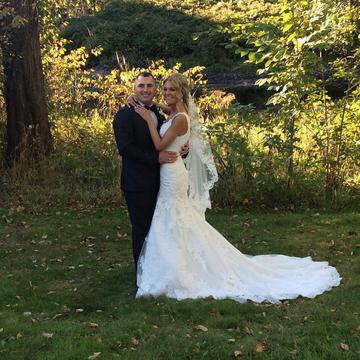 It was a such a joy working with you, Lindsay & Christopher! Their wedding was absolutely stunning and amazing! 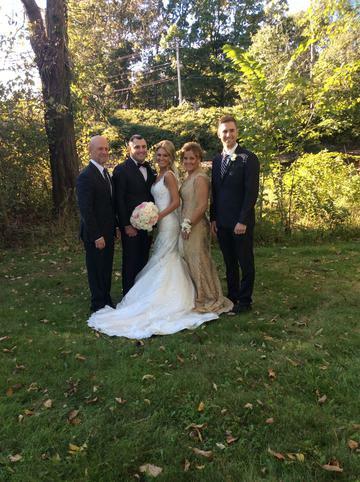 Best Wishes to the Happy Couple from all of us at the CCB!! 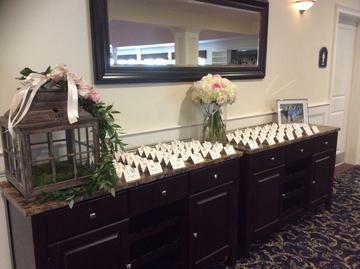 Don't Forget to contact the Canoe Club Ballroom for a Tour & Bridal Appointment! !